United States Lincoln cents truly are the worlds most collectible coin. There are literally millions of collectors that span the globe. This fares well for the future values as numismatic items. There is also a copper content for coins minted prior to the second half of 1982. These blanks were all made from 95% pure copper. values for this base metal have soared and as of the date of this article common cents with these blanks are worth about three cents in scrap value alone. This phenomenon has inspired some savvy investors to hoard copper cents in anticipation of their demise. The profit will come when the US either stops minting cents, thereby rendering all United States Lincoln cents obsolete coins and also legal to melt, or they change the law and allow melting the old ones for scrap. 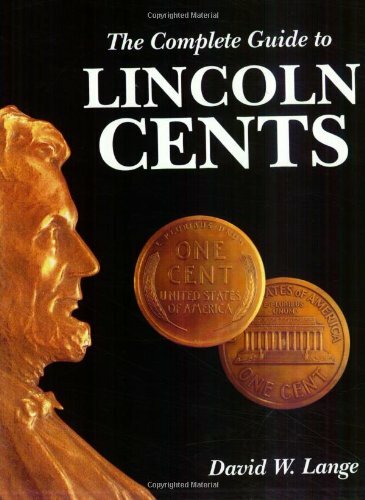 Lincoln cents were introduced in the year 1909. They replaced the long running Indian Head cent series. Coins were struck in Philadelphia and San Fransisco. The latter showing an S mint mark just below the date. This year boasts the infamous 1909-s VDB. An example with the designers initials placed between the base of the wheat stalks on the reverse of the coin. These initials were also on some Philadelphia issues. The 1909-S VDB coin is a prize among collectors and can run into thousands of dollars to obtain in high grade uncirculated condition. The initials were removed from the coin part way through the year and will not resurface until the year 1915 when they were added to President Lincoln's shoulder on all issues from then on. Collecting obsolete wheat cents as they are called, is a fun and profitable endeavor for everyone no matter their location or financial capabilities. This series offers something for all. I highly recommend that all interested parties obtain a copy of the "Red book of US Coins" This publication lists all major varieties and the current values for all grades. Purchasing coins for a collection should be an informed journey. Avoid spending too much money unless you have researched the purchase. There have been a great deal of mistakes made during the production of United States Lincoln cents. The famous 1955 double die is one that most people are familiar with. Many other double die and similar error coins exist within the United States Lincoln cent series. I recommend The Cherry Pickers Guide to US Error Coins for getting to know some of the valuable collectible mistakes that are well known to the numismatic community. There is a huge potential profit in this area if you are aware of what to look for. 19922 holds an example that has no D mint mark. This coin can be worth thousands to collectors. There is a 1943 cent that was mistakingly struck on copper when it should have been steel due to the fact that the United States mint wasn't using copper that year because the war dictated that all metal of this type was used for the manufacture of ammunition. A few examples exist from blanks that were stuck in the machinery and made it out. The same mistake in reverse created the 1944 steel cent in error. Also a great find worth many thousands to collectors. There are also modern mistakes like the well known 1972 double die. In 1959 a new reverse showed up depicting the Lincoln Memorial. This ended the wheat cent reverse. The new coins were made of the same metal composition but collectors took some time to embrace the change. There are many error coins within the modern Lincoln Memorial reverse dates and today collectors seek these examples out as well as high grade proof coins made special from polished dies exclusively for the global collector base that has developed. A complete date collection of the United States Lincoln cent will run from 1909 to present and can contain hundreds of coins. Variety collectors can have thousands. The most important part of coin collecting is to have fun. Enjoy the hunt and you may even be able to make a tidy profit.